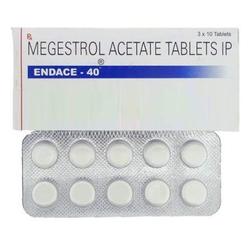 Endace 40 Tablet is used in breast cancer and endometrial cancer. It is also used for treating appetite and weight loss in patients with advanced cancer or HIV. 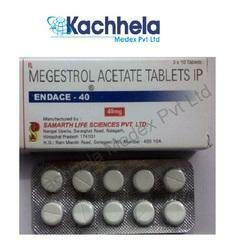 We sell Megestrol Acetate Tablets at best prices and we also have TAB at very good discounted prices india or other Indian Regions as well as outside India to any other Countries of the world.We also ship this medicine to any country of the world as per the buyer's requirements.